Even as David J. Malan enjoyed the news that Computer Science 50, “Introduction to Computer Science,” was the second-largest College course this fall, with 691 undergraduates, he was contemplating a “classroom” much vaster than Sanders Theatre. By mid September, well before the October 15 launch of CS50x, the all-online version (cs50.net/x), some 53,000 students had enrolled worldwide. The nonprofit Harvard-MIT learning venture edX, created last May (see “Harvard, Extended,” July-August), has begun by offering seven free, open-access, noncredit “massive open online courses”—MOOCs as they are known—in its first fall. It is not a traditional semester. Much as edX courses relocate the learning location to wherever student and computer may be, set class hours dissolve as well. Two advanced computer courses offered by Berkeley (a third edX partner, announced in late July) run from late September to late October and mid November, respectively. And those tens of thousands of students learning with senior lecturer on computer science Malan have until next April 15 to complete their work. More than most of his peers, Malan is already skilled in extending his teaching virtually—with online lecture videos, sections, PDFs of handouts, discussion sets and quizzes, and a Google discussion group. Comp Sci 50 existed in an online version before edX, for whoever wished to follow along (see cs50.tv) and for far-flung Extension School audiences, so the transition to the edX platform did not require a wholly new approach to pedagogy. That seems true for the other initial offerings, too—all are quantitative or scientific in nature, including the MIT circuitry course that served as the prototype last year. But edX’s aspirations span the breadth of learning, and it aims to take technologically distributed education well beyond where Malan and other computer-literate teachers have already arrived. Its offices, in fact, are not on MIT’s campus (the president, Anant Agarwal, is professor of electrical engineering and computer science there), but in a Kendall Square office building, surrounded by technology enterprises and budding new ventures. Although a nonprofit, edX is much more start-up than academic department or faculty meeting. 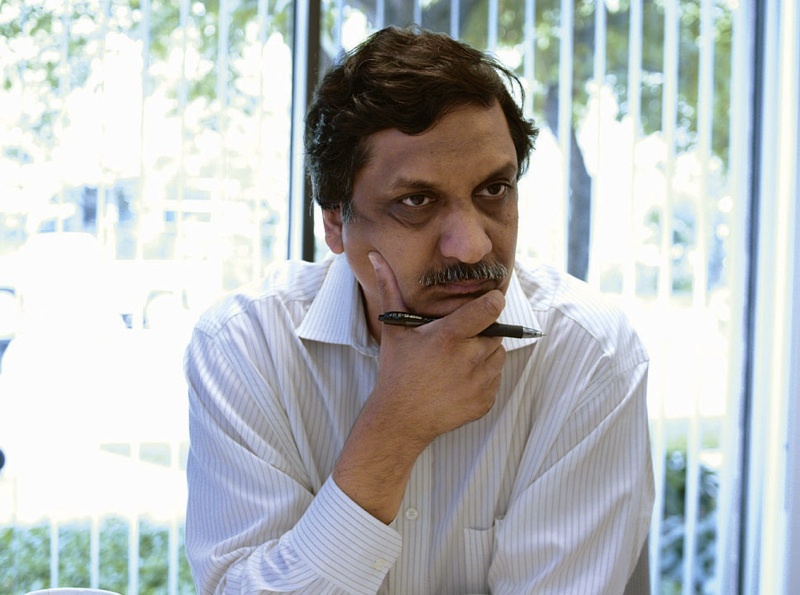 From its inception, the staff had grown to about 35 by mid September—“zero to 60 in six months,” Agarwal said—including an engineering team for the technological platform; a content team to edit course videos (with content-expert fellows to assist faculty members); a chief scientist; a director of university partnerships (more are in the offing, he suggested); and with recruiting under way for marketing and communications personnel. Computers are set up at simple tables and chairs in open spaces that can be rapidly reconfigured, khakis and open shirts are in fashion, and a rainbow of Post-its counts down days-to-live for each course. All this reflects fundamental differences between online and classroom education. The three-dozen edX staff, and participating faculty members, could potentially reach hundreds of thousands of students this fall. Course delivery is relatively cheap (The New York Times reported that edX uses Amazon’s cloud computing services to deliver content to enrollees), and marketing to students is essentially free, via social media. Students resonated to “tablet handwriting” in the videos, Agarwal said—a more personal feel than viewing typeset text. For CS50x, Malan has prepared tutorials (a teaching fellow talking about binary numbers, for instance) in which the instructor writes on a tablet; the strokes, captured wirelessly, appear as scrolling script directly in front of the viewer. Agarwal also found that deadlines “mattered a lot”: like their peers in classrooms, students did assignments just before they were due. Discussions and peer interactions “scaled nicely” online; as students asked questions and others weighed in, they could electronically “upvote” problems to be addressed. (The extent to which students helped each other learn was “absolutely astounding,” he said.) 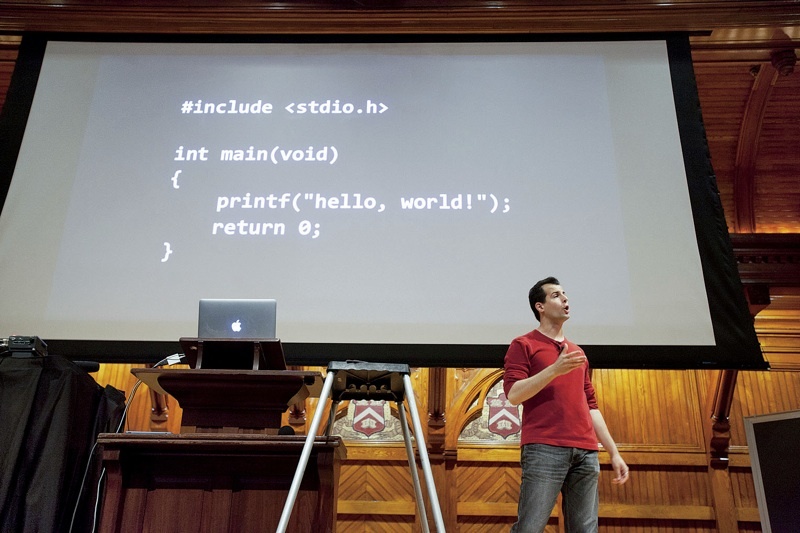 In the evolving edX platform, such tools now can be deployed beside each unit of the curriculum and can link to an overall course discussion forum; Malan is using this technology in CS50x, and, in a similar way, matching College students with Comp Sci 50 teaching fellows who can help them with specific queries. These online developments, Agarwal said, all support a learning experience with the “same as on-campus” rigor. In fact, of the 155,000 students enrolled in the first iteration of his circuits course online, less than 5 percent completed all the work. Many lacked the necessary background. edX aims to maintain that level of rigor. It is rolling out courses relatively deliberately; the for-profit Coursera, in contrast, has repeatedly announced new partnerships, now with 33 institutions, and has posted some 200 courses. Stanford, a Coursera participant, is also deploying two other online platforms, a multipath approach overseen by a new vice-provostial office for online learning. Agarwal said edX’s focus is on “high-quality learning” on two levels: “dramatically increasing access to learning to students worldwide, while reinventing campus learning” simultaneously—a blended model for improvements in virtual and real classes. The Harvard personnel overseeing that hybrid mission as edX board members are a mix of scholars and administrators: deans Michael D. Smith (Faculty of Arts and Sciences) and Kathleen McCartney (Graduate School of Education), provost Alan Garber, and executive vice president Katie Lapp.